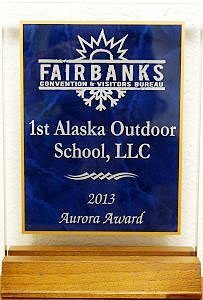 1st Alaska Tours is a year round sightseeing company. Our office staff provides guests with their first impression of the company and it’s products. Task can range from reservations, tour preparation, scheduling, general phone/e-mail inquiries and more. 1st Alaska Tours employs patient, friendly, professional office specialists to ensure our guests receive excellent customer service. If you are interested in joining our office team, please review the job description and complete the online application. The purpose of this position is to interact with our guests and ensure that they have a great booking experience. This person is responsible for responding to guest calls or inquires about 1st AOS tours, to provide information and reserve space for guests booking tours. The Office Specialist will contribute to the arrival experience by ensuring clear communication with guests, obtaining all necessary information and providing the guest a tour that meets their expectations. Specialists will be well versed in pricing, tour details and sales strategies to meet guest’s requests. The statements contained herein reflect general details, as necessary to describe the principalfunctions of this job, the level of knowledge and skill typically required, and the scope of responsibility, but should not be considered an all-inclusive listing of work requirements. Individuals may perform other duties as needed, including working in other functional areas to cover absences or relief, to equalize work periods, or to otherwise balance the workload.